Brand new video games can lose as much value in percentage terms in just three days as a car would over three years, a Which? investigation into the prices high street stores pay for used video games has found. Cars are known for their quick depreciation – a car such as a Ford Focus can lose up to 60% of its value in three years according to the Which? Car depreciation calculator. During our research we discovered that gaming blockbuster Call of Duty: Black Ops, released just three days prior to our research and originally bought brand new, lost as much as 70% of its original value when presented to stores that buy pre-owned games. But if you received an unwanted video game this Christmas and the cellophane’s been taken off, you can’t return it unless its faulty, so the second-hand market might be your only option. To help you find the best price, we took three popular games into leading high street stores that sell second hand video games, and asked how much we could expect for them in cash or store credit. Our results show that it really does pay to shop around when looking to sell your games. During our research, we found that Cex, the entertainment and technology store, consistently offered us the best prices for our games, both in cash and store credit. We were offered a hearty £33 in cash for our copy of Call of Duty: Black Ops, whereas the price Game offered us was just £16.70. Not impressive considering we had purchased the game just three days earlier for £44.99. CEX also offered us £13 cash for our copy of the popular game Red Dead Redemption, which we had bought for £27.99. Blockbuster, however, gave a price of just £6. For our oldest game, Just Cause 2 – for which we paid £19.85 – we were offered just a few pounds in most stores. Released in Spring 2010, it’s a good example that sooner is better than later when looking for the best price for your used games. All games were bought brand new from online, in the Xbox 360 format and we took them into high street stores in mint condition. Our researcher visited one or two stores from each chain on 12 November. Prices are correct as of date of research. It’s not too difficult to see why so many high street retailers are happy to take second hand games off your hands. When we checked the retail prices of used video games on the shelves of stores we visited, they were as much as five times as high as the price we were offered. Blockbuster, for example, was selling pre-owned copies of Red Dead Redemption £29.95 – a mark-up of £24 on the price they quoted us. 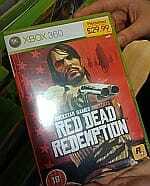 Game had Red Dead Redemption on sale for around the £30 mark, despite only offering us £6.70 for our copy. The last year has seen a growth in the number of places which will buy pre-owned games. Previously the reserve of dedicated games shops and entertainment stores such as HMV, now supermarkets and catalogue shops are getting in on the act. Tesco, ASDA, and Argos all now offer the service, although unlike the other stores we looked at, they offer store credit only. We found that Tesco would only accept certain games. The prices offered to us by Tesco and ASDA were competitive, in most cases outbidding more established game stores such as Gamestation and Game. When looking to sell second hand video games, there are a wealth online alternatives to the high street. Major retailers such as Amazon and Play offer services for selling second-hand goods, as well as popular online auction site eBay. When we checked used-game prices online, we found that many were selling for a higher price than we were offered on the high street. However, it’s likely you’ll need to pay an online sellers fee and the items must be posted to the buyer in good time. 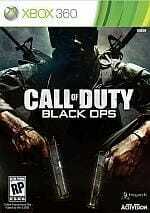 There are also online stores that buy pre-owned games directly. Most game rental sites buy games, and Amazon has just announced its own service. However, the prices are likely to be similar to those found on the high street. Sell early. The price of used games decreases very quickly, so if you’re looking to sell a game, the sooner the better. Consider store credit. Most stores will offer more in store credit for your games than cash. Shop around. Prices vary wildly store to store. There were even differences between the prices at Game and Gamestation, which surprised us since they are owned by the same company. Hang onto your games. A lot of game developers offer downloadable content after a games release, offering more levels and missions, extending the playability of the title. Do you think the mark-ups retailers put on used video games are fair? Join the debate on Which? Conversation. Are you a Twitter user? Follow WhichTech on Twitter for regular tech tweets. Prefer RSS? Don’t miss a thing with the Which? tech RSS feed. For just the main headlines in newsletter form, sign-up to our weekly Which? tech email.